It has been 10 years since we issued the very first Legends of Star Trek sets, and in 2003, we could not have envisioned just how popular these sets would become. 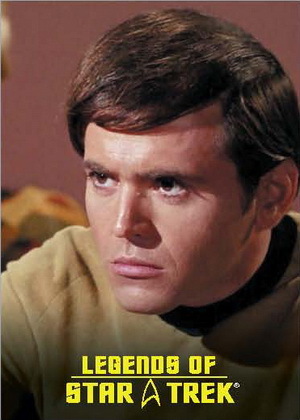 After issuing 9-card sets for Kirk, Spock and McCoy, we combined Scotty, Uhura and Sulu into one set, with only 3 cards apiece; and then Chekov, Rand and Chapel into another set, also with three cards apiece. In hindsight, we feel that we have not done justice to these vitally important characters of the original Star Trek mythology. With that said, we are offering 6 more cards of each of these 6 characters — 36 cards in all — so that collectors can fill in their sets, for a total of 9 cards for each character. The card numbering and the sequential numbering for these cards will be filled in appropriately (e.g. 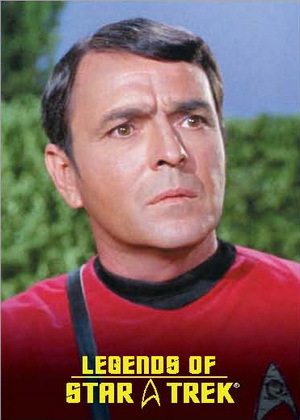 Scotty will have cards L4-L9, with L9, the last card, including the sequential numbering to 1,701). 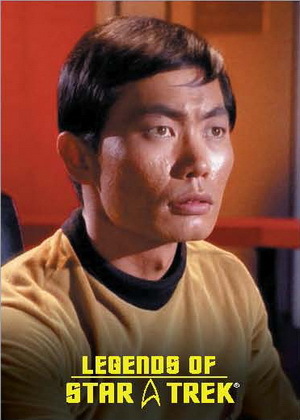 A very limited quantity of the original Scotty, Sulu, Uhura, Chekov, Rand and Chapel sets are still available. 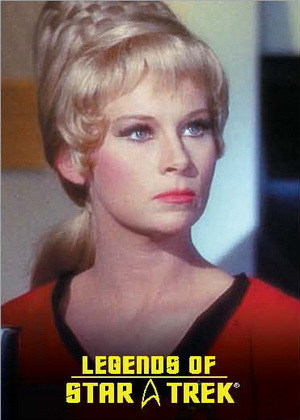 If you are looking for any of the previous Legends of Star Trek trading cards, limited quantities of are available. 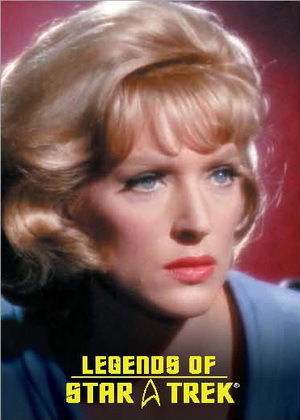 Check out the complete listings of all of the past Legends of Star Trek sets.